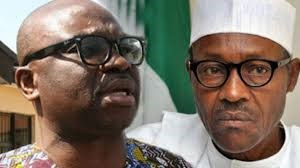 Immediate past Governor of Ekiti State, Ayodele Fayose has reacted to a blunder made by the President today as he visited Ekiti Satte for continuation of his campaign back into office. 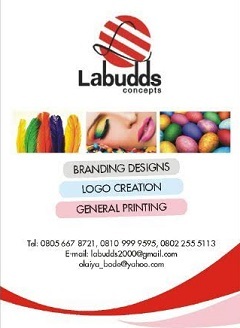 The President had said he assumed office in 2005 instead of 2015 when he actually resumed office. 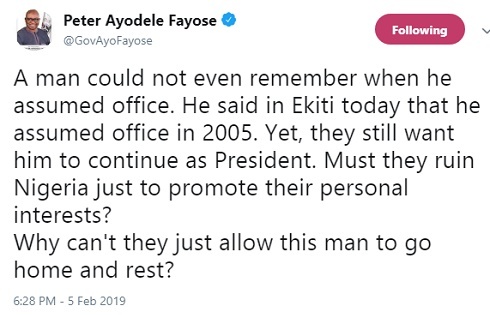 Fayose is now saying, why are some people still pushing him for a second term, instead of letting him go home and rest.